Animaccord (Masha and the Bear) is diversifying its licensing business in 2019 by signing on as worldwide Master Agent for Ánima Estudio’s preschool property Cleo & Cuquin. This push will see Animaccord working with more animated brands going forward, and coordinating all licensing for related consumer products, traditional media, promotions and digital content including video, apps, games and more. 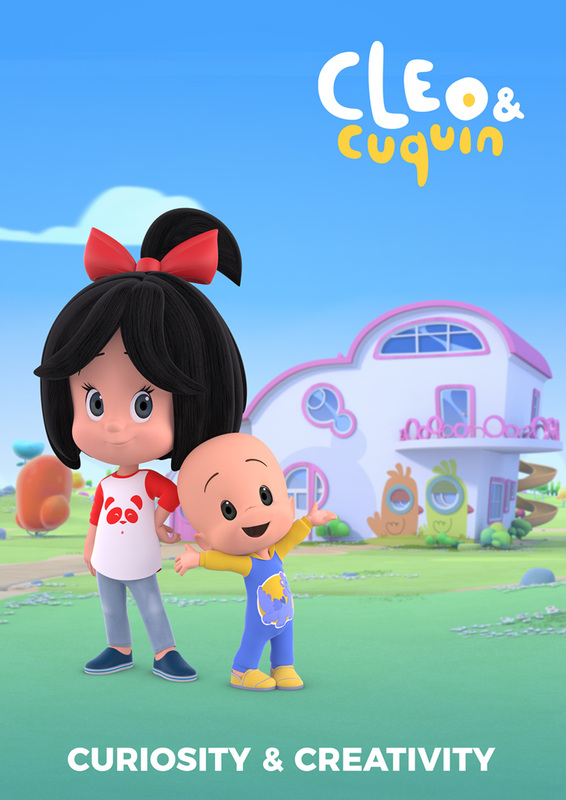 Animaccord has acquired rights for Seasons 1 and 2 of Cleo & Cuquin series, comprising 78 episodes all together and accompanied by 30 musical video clips. The animation follows the hilarious and educative adventures of mischievous little boy Cuquin and his older sister, Cleo, who helps her baby brother figure out the situations in which he finds himself. With widespread TV distribution for Cleo & Cuquin initially confirmed across multiple MENA, CIS and Baltic countries, as well as Eastern European territories, the scope of the licensing deal will also include all media rights, licensing of consumer products, advertising and promotional activities, games, apps plus media opportunities through YouTube worldwide in Russian, Ukrainian, Arabic and Polish. Vladimir Gorbulya, CEO of Animaccord Group: “We are delighted to announce our management of the licensing program for Cleo & Cuquin. We believe both as a company and on my personal level in its success. This partnership represents an important step for Animaccord’s business as we would like to showcase our ability to build a similar level of distribution as we have done for our own globally successful IP, Masha and the Bear that we have created. We aim to communicate the strong, positive attributes behind the TV series Cleo & Cuquin that delivers fun and adventure to kids and families, combining important values such as education and friendship. It has a strong musical component, which is critical in the modern preschool world and clicks perfectly with Masha and the Bear in terms of target audience and messaging. Overall, we are very excited and keen to raise awareness of the show across the world where it is not yet established or widely recognized”.